Don't have time to stop by the Church Office, and you'd rather take care of this online than with a phone call? Then please provide the requested information at the left. If there is an opening in the current Flower Calendar Sign-Up's, it's likely you'll get that date (but sometimes there's a lag between the website's Flower Calendar and the office calendar!) So we'll check and reserve your Sunday if available, or — if already reserved — ask you if you'd like to choose another date. We will contact you prior to "your Sunday" for the information that should appear in the bulletin that day. The church has a standing arrangement with a florist to prepare our flowers. 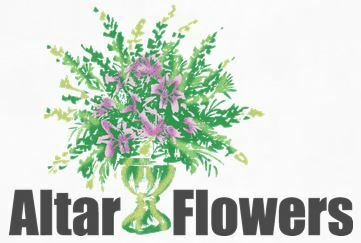 The cost to sponsor an arrangement is $38.00; please make a check to Salem UMC marked for "Flowers." Thank you. Remember, you are NOT yet securing this day; you are merely inquiring about its availability. If it is, we will reserve that Sunday for you and send you a email confirming. You should see your name appear in the Flower Schedule.